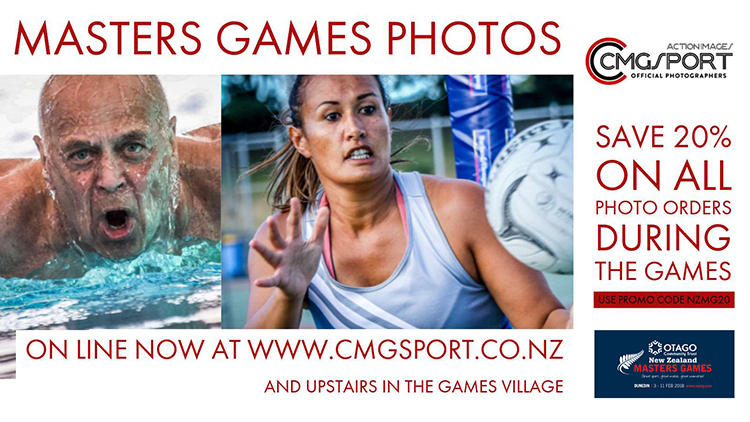 The CMGSPORT is the official photographer for the Otago Community Trust New Zealand Masters Games 2018. With well over 20 years’ experience of covering sport, internationally and throughout New Zealand, CMGSPORT are New Zealand’s leading sports event photographers. Their customer focused team are highly skilled and talented sports photographers, with unrivalled practical knowledge and know-how of the sports they cover. They deliver professional, innovative, high quality imaging solutions to your events every time.